Arza Goldstein, co-founder of Living Wisely, Dying Well, MEd BSN CHPN, is passionate about changing how we die in this country and Newton seemed like a great place to begin! For 11 years, Arza has been a hospice RN Case Manager with VNACare Hospice, in Needham, MA. In recent years, Arza has facilitated numerous The Conversation Project (TCP) workshops and “Death Cafes” as well as hosted “Death over Dinner” events. Arza was a birth doula, assisting expectant families in the process of Labor and Delivery as well as an instructional designer at a small consulting firm in Boston. She lives in Newton. Arlene Lowney RN MBA is a healthcare professional with 40 years experience in Hospice & Palliative Care nursing, administration and education. She’s committed to promoting the ‘Living Wisely, Dying Well’ community education model of earlier and ongoing advance care planning across all settings and over the lifespan. As a healthcare consultant for eight years, she was project manager at several hospices preparing for certification. Most recently, she was on the Board of the Alzheimer’s Association for 6 years, actively promoting education and support for Alzheimer’s caregivers in the community while raising funds for research. Arlene taught at Tufts Medical School Graduate Pain Program and chaired the Hospice Federation Ethics Committee for 10 years. Most recently she was a Geriatric Care Manager in the Metrowest area. She enjoys spending time outdoors with her grandchildren, family and friends. Throughout his career, Will Manning has been involved in marketing technology products for New England companies. An engineer from Northeastern, he enjoys the creative challenge of helping firms launch new products and grow their businesses. After helping his parents and brother through their inevitable decline and death, he feels deeply that our culture needs to shift, from denying death, to accepting and honoring this fact of life. Will provides marketing guidance and support through his involvement with Living Wisely Dying Well. Will also volunteers at the New England Aquarium in the Live Blue Ambassador program. He lives in Concord, MA with his family. Betsy Louise Simmons, MPH, RYT, Interfaith Minister works in public health, holistic healing, interfaith spirituality and restorative justice. She facilitates groups in healing trauma, bereavement, self-care, care for the caregiver, movement and meditation. She is available to co-create & orchestrate The Conversation Project, celebrations of life, community grief rituals, funerals and restorative circles. Reach out to her at blousimmons@gmail.com. Claire B. Willis is a clinical social worker, lay Buddhist chaplain and a yoga teacher. In her private practice she has spent over two decades working with oncology patients in a variety of settings, and she is co-founder of Facing Cancer Together: A Community of Hope in Brighton, MA where she facilitates groups. 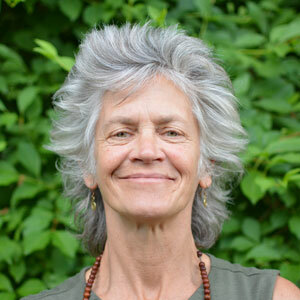 Claire is an adjunct faculty member at Andover Newton Theological School where she co teaches the class Spiritual Resources for Healing the Mind, Body and Soul. Claire earned an MA from Episcopal Divinity School and an MSW and M.ED from Boston University. She is the author of Lasting Words: A Guide to Finding Meaning Toward the Close of Life. She is currently writing a second book – Opening to Grief. Claire lives in Brookline, Massachusetts, where she maintains a private practice focused on-end-of life and bereavement issues. Most importantly, she is the grandmother to three granddaughters.